If history is any guide, ZTE won't be shy with new phones at Mobile World Congress. CNET will bring you the full story. The one thing that's wild about MWC pressers are all the different languages. Folks in front are chatting in Japanese while behind me I hear conversational Barcelona Spanish. It's a packed room in here. 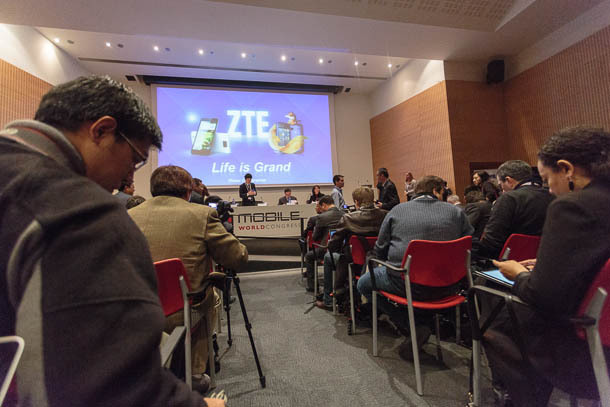 I guess ZTE can pack em in here in Barcelona. I doubt it would get this kind of reception in the U.S. It' amazing how Firefox is really making news at this show. 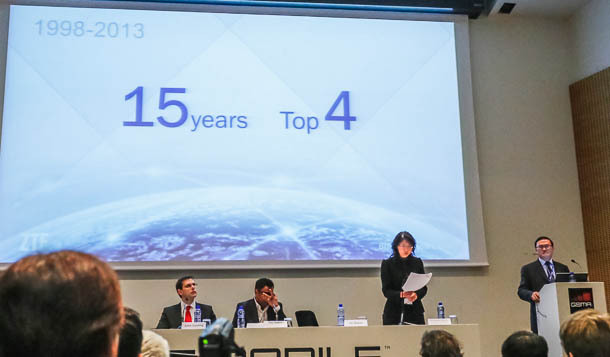 First Alcatel, then and now ZTE perhaps...and Huawei next? That is a lot of people on stage. Five people seated, plus one standing at the lectern. We could be in for a wordy presentation. Okay, looks like we're about to start. OMG, there's a wall of execs in front of us. This is intimidating! He Shiyou, EVP of ZTE first up. Raj Talluri, John Couling, and Chris Edwards also on stage. 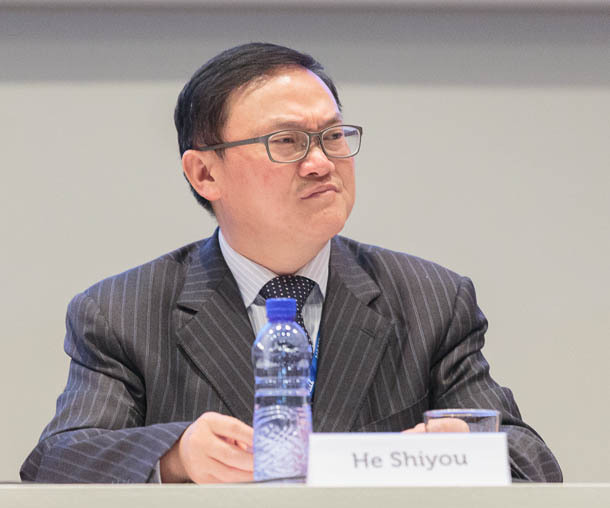 He Shiyou, EVP and head of mobile devices, is up first. Mr. He is using a translator. ZTE is announcing the Grand Memo. The theme of the conference is "Life is grand." Oh wow, time to practice my rusty Mandarin. Fortunately, Lynn already has the lowdown on the Grand Memo. ZTE's handset business has steady growth and profit in 2012, he says. He is thanking his partners (Qualcomm) for the launch of the Grand Memo. ZTE sold 65 million devices in 2012, making it the fourth-largest OEM in the world, according to IDC. 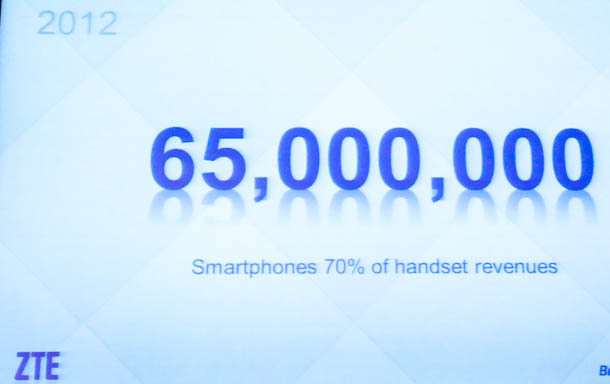 70% of phone revenues was from smartphones. ZTE still has a long way to go relative to top tier vendors when it comes to profitability, he says. Here we go... talking global sale numbers a la Samsung. There's still a gap with tier one vendors like Apple and Samsung in terms of profitability. 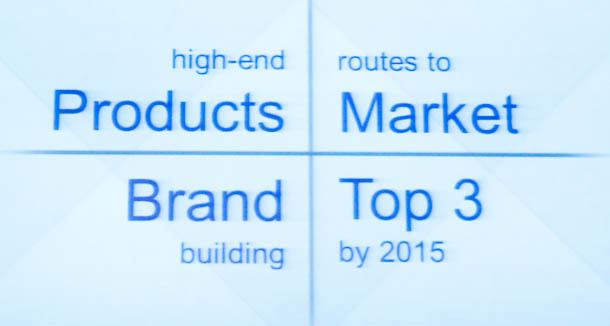 The goal is to focus on high-end products, branding, image build-up, flagship devices, and open markets, he says. ZTE wants to be a top 3 player by 2015. Hey guys, doing great with the live blog! This presser is off the hook. Yep, ZTE really craves a successful flagship handset just like many in this rough and tumble mobile business. 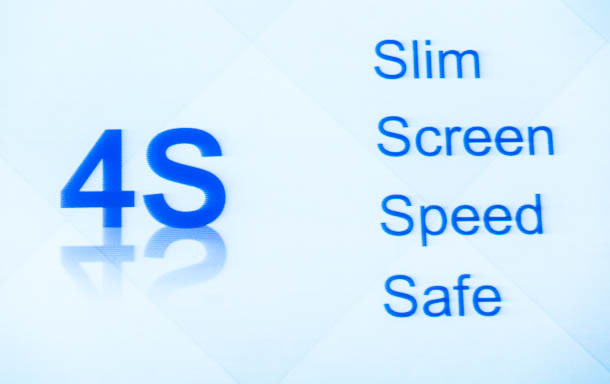 ZTE has a strategy it calls 4S: slim, safety, screen and speed. Uh...ZTE knows there's a iPhone 4S, right? Its goal is to a thinner design, better displays, faster processors, and high security, he says. The 4Ses to ZTE's smartphone success. We count five actually! Oh, sorry I misheard, ZTE is still talking about Grand Memo. It breaks "the record." What record, you incredulously ask? THE. Record. 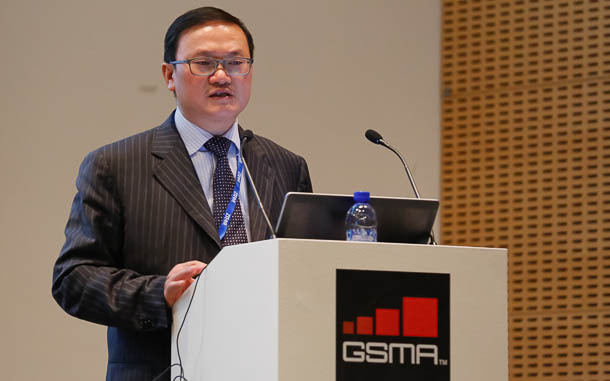 He expressed his gratitude to partners, media, and guests for support for LTE. ZTE looks forward to continuing to work with us for...something. And that's the end of the first part of the event. Chris Edwards, european marketing and business director for ZTE, now takes the lectern.